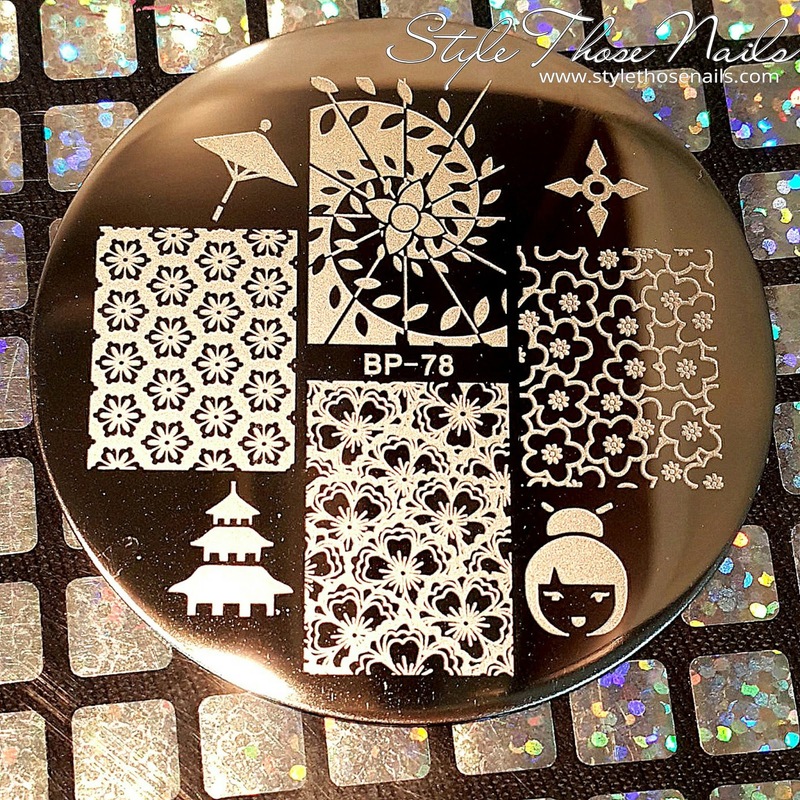 Today I will share a review on BornPrettyStore Stamping plate BP78 also called Oriental Cherry Theme Nail Art Stamp Template Image Plate on the website. This is indeed a lovely plate. I liked almost all the images on it. I did a summer nailart using one of the floral image. 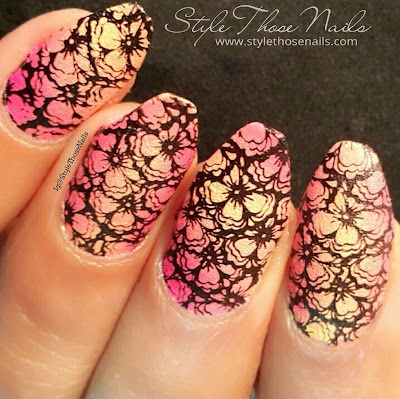 First I created a gradient base using acrylic paints and a makeup sponge and then stamped the image directly over it using ILH clear Jelly Stamper. I loved the textured effect so much that I didn't top coat it so all pictures are without any top coat. 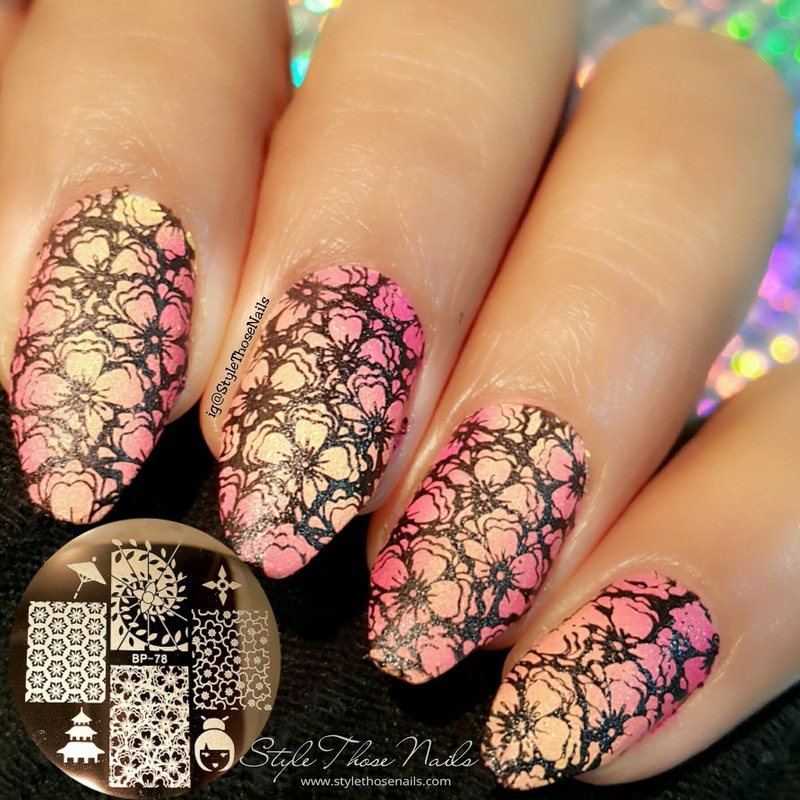 Of course for long wear you need to top coat :) Keep reading to know about this lovely stamping plate. 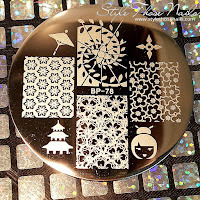 Overview: BP78 is a round stamping plate and it is 5.5cm in diameter. It has four rectangular images ranging from 1.5m wide by 2.0 to 2.2cm length. 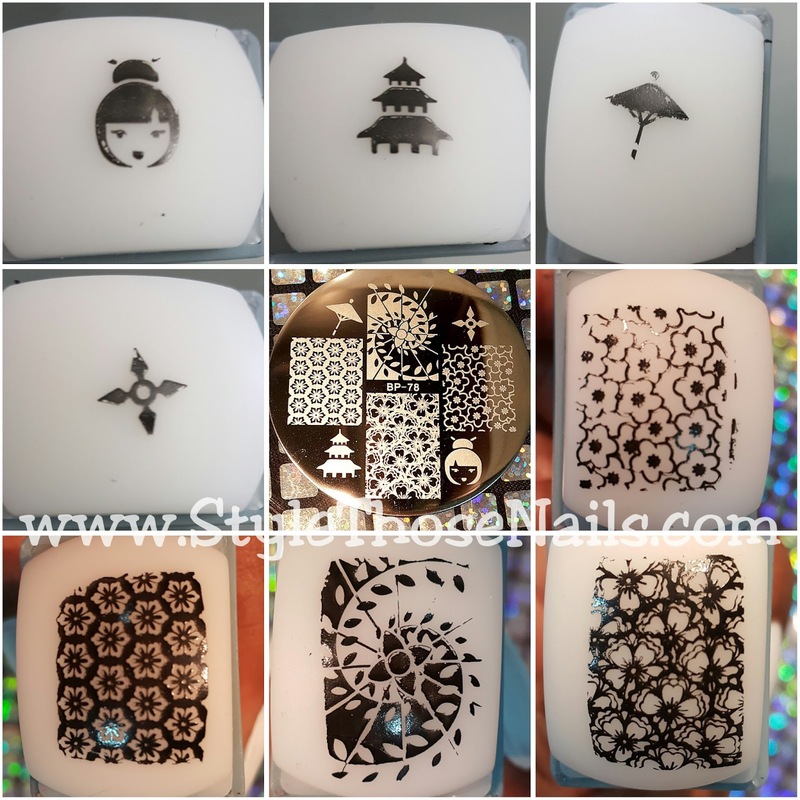 The one I used for stamping is 2.2cm long. Also there are four small images as swatched in the picture below. Plate is made of good quality steel and comes with a blue protective film which has to be removed before using it. 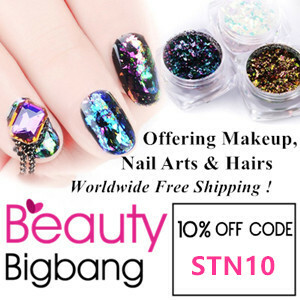 Since Born Pretty Store provides world wide free shipping it's worth to check out their site as you can surely find something for yourself. Link of this plate is HERE and you can get a discount of 10% if you use my coupon code YLEX31. Let me know what you think of this plate. Hope you liked the review ! !